I think MAC Paints Pots are often the unsung heroes of the MAC collection. They’re often released in collections, but people tend to brush over them and head straight for the lipsticks or blushes. I, personally, think that MAC paint pots are fantastic and work wonders both as a base and as a stand alone product, as they last for ages. I have around nine of them, but I’ll share my top five neutral picks for those who may want to pick their first one up! Starting left to right with the swatches, the MAC Paint Pot in Vintage Selection is a beautiful rosey toned gold shade. It’s not a simple pink and it’s not rose gold, it’s somewhere in between but definitely leans more cool toned. It works wonderfully as a base and in the inner corner of the eye as a highlight. Next is MAC Paint Pot in Indianwood which is a straight up metallic, almost liquid looking gold. It’s so pretty and makes a great smokey eye when blending with lots of eyeliner and mascara. I always reach for this one on date night or when I’m going out for a few drinks! 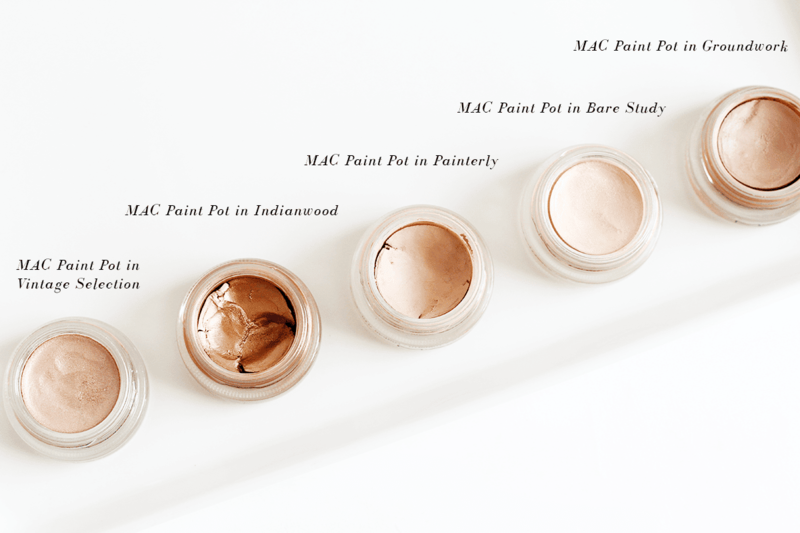 If you’re after a neutral base to make your eyeshadow last longer or to neutralise the colour of your lids, MAC Paint Pot in Painterly is your best option. You don’t need much so it lasts a long time and really helps your eye makeup stay in place! If you’re partial to a wash of champagne shades across your lids, then MAC Paint Pot in Bare Study is a really pretty option. It has a hint of gold running through it and definitely a minimal makeup must have or a great light starting point before building up some depth in your makeup look. 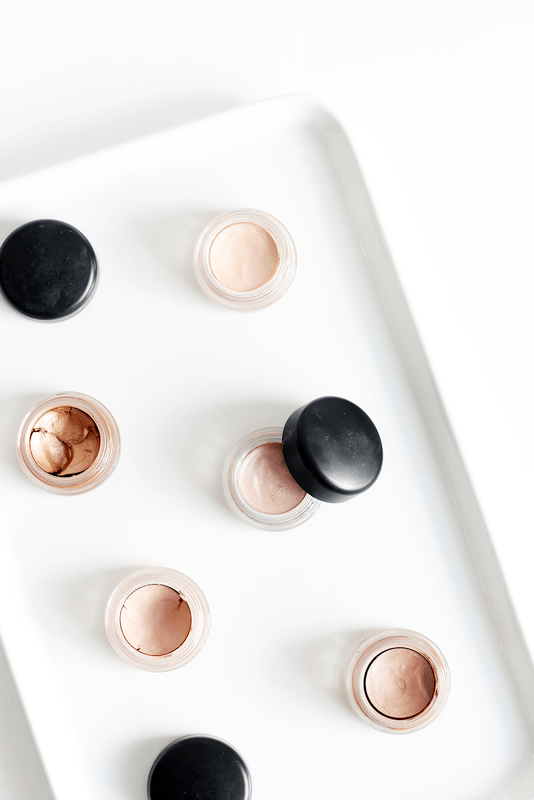 Finally, for more of a matte-natural finish, try MAC Paint Pot in Groundwork. It’s a brown/grey shade that acts as a great base or the perfect every day shade, as it’s really accessible and great with just a coat of mascara. Do you have any MAC paint pots? What’s your favourite shade? Next Post TIPS AND TRICKS: What Goes Into Receiving A Sample?